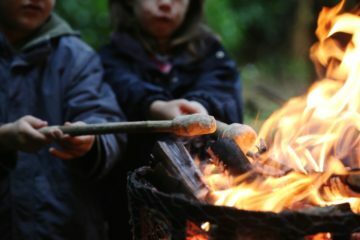 The popular Camp Teepee adventure day camp is returning to the Paragon school in Bath over the half term on 30-31 October. Camp Teepee promised promises fun-filled adventures, open to children from all schools from the age of 6-11 years of age. Camp Teepee gives children the chance to learn new skills, develop their confidence and have a great time in a safe outdoor environment. Each day they make something to bring home as a memento – as well as a pile of muddy clothes and a huge grin! Don’t worry, there is access to toilets and clean drinking water within the main school buildings! Camp Teepee costs £35 per day, per child, and wrap-around childcare is available. To book, click here.